Who doesn’t love Melissa Marr’s amazing Wicked Lovely series? There’s always love and hate, seduction and violence, good and evil in each of her books; all facets of life while involving the supernatural! The same can be said of her collection of short stories, Faery Tales & Nightmares. The way Marr takes traditional fairy tales and twists them to make them her own is what keeps me engaged. This collection features several stories set in her WL universe, but also contains several original stories. I love all the WL ones of course, but my favorites come from the original stuff: Love Struck and Winter's Kiss. These both really embody the fairytale aesthetic, and were different from each other while still fitting into the collection together. I think fans of Marr will be delighted with the collection, especially the WL stories. These all add a glimpse into more of that world, and some, I believe, are edited chapters that were taken out of the books, so that’s fun! Marr’s imaginative writing really shines, and none of the stories fall short. Newcomers to Marr will be able to enjoy the original stories, but may feel a little lost when it comes to the WL stories. But, overall, those are still well-written, and can stand alone in a way. 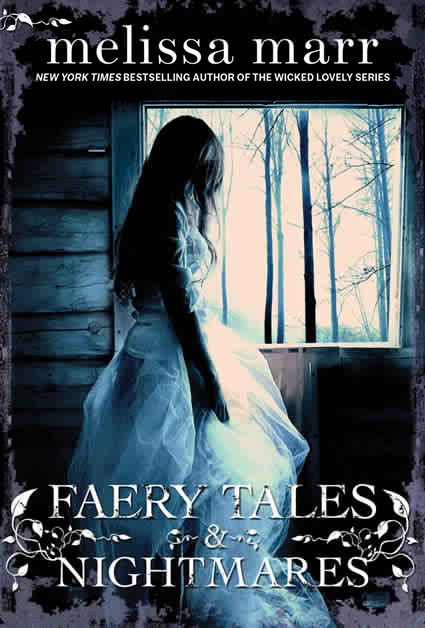 A delicious book filled with stories you can devour in one day, Faery Tales & Nightmares by Melissa Marr is a collection you’ll want to add to your shelf!